Many investors focus on large-cap stocks, which are loosely defined as stocks with above $10 billion of market capitalization. While this strategy works for most investors, it has the effect of artificially narrowing your investment universe. Moreover, the rise of online brokers, passive index funds, and other investment products have made it easier than ever to capture the benefits of small-cap investing. Eurasian Capital, LLC acts in an agency capacity to procure institutional capital for emerging micro-cap and small-cap companies, and we'd like to tell you why you should invest in small-cap stocks. Small cap stocks are loosely defined as stocks having between $250 million and $2 billion in market capitalization. Stocks that are smaller than small-cap stocks are called micro caps or nano caps. Stocks that are larger than small-cap stocks are called mega caps, large caps, or mid-caps. For now, let's focus on small-cap investing. The primary reason why small-cap stocks are attractive is that they give investors a much larger number of investment opportunities. This is appealing from the perspective of diversification but also because small-caps allow you to be far more selective when hunting for investment opportunities. For evidence of how much bigger the universe is for small-cap stocks, you just must look at the benchmarks. There are thousands of small cap securities. In fact, the small-cap investing universe has about four times the amount of investment opportunities as its large-cap counterpart. Small cap stocks receive much less attention from the financial markets. They receive less analyst coverage and less attention from the media. What this means for investors is that small-caps stocks can remain mispriced for a long time. When large-cap stocks become disconnected from their intrinsic value, it's usually discovered quite quickly by the markets. This is not the case for small-cap stocks, which creates opportunities for investors to go in, by undervalued small-cap stocks, and profit from a potential valuation expand later. On the surface, it may not be clear why a lack of institutional ownership could be beneficial for investors. It comes down to the fundamental principles of supply and demand. When institutional investors begin buying stock, especially small-cap stock, it creates more buying pressure in the market, which raises stock prices. As you know, higher prices equate to lower future returns, all else being equal. 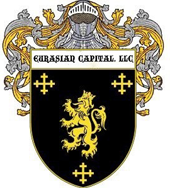 Eurasian Capital, LLC offers small-cap investing opportunities for all sorts of companies. To learn more about who we are and what we do, continue reading or contact us today. We offer financial support to growing businesses seeking to expand. Helping you reach your goals is our business. With our expertise and our access to capital, the sky is the limit.